To Tell or Not to Tell - Healthy Aging ® - Who Says I Have to Say My Age? The following article is excerpted from Healthy Aging® Magazine. To continue reading this article and more like it, subscribe to Healthy Aging® Magazine , the lifestyle magazine that is all about following your passion and what you can do rather than what you can’t. 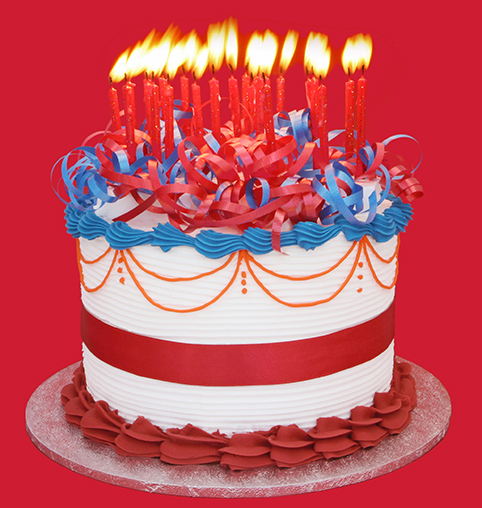 When you blow out the birthday candles each year, do you admit your age or do you coyly demur? My mother would roll her eyes. The great family scandal was that my mother was a year older than my father. Imagine. Her “older woman” status made her joke that she was “21-plus” and hide her driver’s license from prying eyes. She died at 72. My father lived to 90—handsome, healthy, and vigorous into his late 80s. As a widower, he’d had a number of lady friends, one of whom, when smitten, asked my father’s age. The truth made her cry. I wanted to give my father a party for his 80th birthday. He said, “No thank you.” And he went off to work on writing projects at the University of Virginia several years after mandatory retirement. He remained determined to stay in the traffic as long as he could. And if that meant being mum about his age, so be it. I’d long looked to my father—a former New York ad man, teacher, and writer—as my inspiring role model. I was 62 when my father died. And I felt suddenly elevated to female family elder. I’d likely inherited some of my mother’s age phobia genes. I’m easy about my age with peers but reluctant to pony it up to those younger. I felt I’d now crossed a murky Rubicon and, absurdly, if the truth be known, it could somehow infect my friendships. My husband, four years my senior, readily volunteers his age and isn’t shy about asking women how old they are. A beauty with whom he’d wanted to discuss Medicare was not amused. It’s funny that little children can’t wait to tell you their ages. They even often add that “and a half” year. They yearn to be “big” and to have all the privileges of age and height. Certain birthdays will also hold special significance. Remember how old you were when you lost your first tooth? First rode the school bus? First got kissed? First fell in love? Married? Had your first baby? Showed up for your first and last job? We often define ourselves in terms of decades, the numbers seemingly determining our fates: The turbulent teens. The catapulting 20s. The driving 30s. The thriving 40s and 50s. The slowing down 60s. The retiring 70s. The fingers-crossed 80s and 90s. When we’re young, most of us want to live long lives. I’d thought 100 seemed reasonable. When I actually faced my later decades, I felt a mixture of disbelief, amazement, trepidation, and delight. I’d made it but hoped I might pass for someone younger. I wanted to stay in the game. I sought direction from the experts: men and women slightly my senior whom I’d admired for their resilience, creativity, and successful aging. I shared their stories, advice, and tactics in my recent book, Aging Famously: Follow Those You Admire to Living Long and Well. For example, singer and comedienne Carol Channing still performed her personal review The First 80 Years Are the Hardest. At 90, journalist Walter Cronkite, a widower, voiced his liberal views and squired a new love about town. They all spoke comfortably of age; they eased my fears and became my new mentors and role models. Recently approaching my 80th birthday, my husband asked me if I wanted a party. Oh dear, the dreaded decision: to tell or not to tell? To celebrate a milestone or pretend it was yet to be? A cake with no candles? One candle? A blaze of glory? I decided on a sinfully rich and creamy chocolate layer cake and covered it with candles. I blew out one bright flame at a time. Now, I’m telling all and saving my breath for 100. Elizabeth Meade Howard, author of Aging Famously: Follow Those You Admire to Living Long and Well, is an editor of Streetlight Magazine online and a member of the American Society of Journalists and Authors (ASJA). Read more about her at AgingFamously.com.